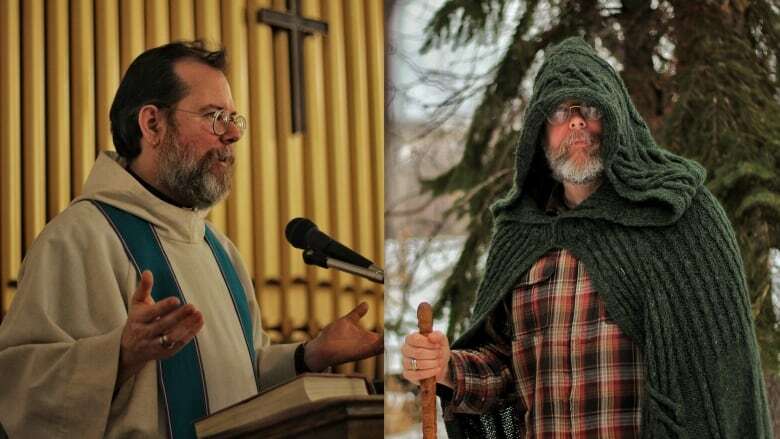 Calling himself a ‘green priest,’ Rev. Shawn Sanford Beck lives off-grid in Saskatchewan where blends his Christian faith with a deep respect for nature using neo-pagan traditions. Here at Tapestry we often receive personal and thoughtful letters from our listeners. But a letter from Rev. Shawn Sanford Beck in Saskatchewan was unlike any we'd ever received before. I am a 'ChristoPagan' ... I practice magic, study the runes, and talk to trees and fairies; ...and I am a member of the Order of Bards, Ovates and Druids. AND I'm an ordained priest in the Anglican Church of Canada. For 15 years I've preached and pastored churches in my diocese. I'm a regional dean, and I train other priests, deacons, and lay ministers. ...But it has been a very interesting journey for me, almost thirty years of intense reflection and "internal inter-faith dialogue", culminating finally in a fully blended path. Am I alone in this? Are there others out there who are living bi-spiritual lives?" We reached out to Sandford Beck to find out how he lives within these two faiths. "My theology is Christian, my cosmology is pagan." As a self-described 'farm boy', Sanford Beck always had a deep love of the land and a respect for the mystical aspect of nature. He currently lives with his family in an off-the-grid homestead in Saskatchewan. Sanford Beck converted to Christianity as a teen and decided to become an Anglican minister. He has worked for years as a chaplain with the Indigenous community in Saskatoon and with the LGBTQ community. The whole time, he was also drawn to Celtic culture and mythology. "A deep rooted part of my own personal spiritual journey was making a pilgrimage over to Iona… just immersing myself in the writings of the early Celtic saints from the 5th to 7th century," says Rev. Sandford Beck. "I'm not making this stuff up just out of thin air. There's definitely roots way back in our past." Calling himself a "green priest," Sanford Beck has found a way to integrate these spiritual paths. "I do identify myself as primarily Christian - heavily influenced and really spiritually transformed by neo-paganism. Specifically it's about bringing in the feminine face of the divine. Bringing in the pagan valuing of nature as sacred. And the pagan sense of the world as alive and magical." He believes both can work together. "It's about recognizing that that tree that I've been praying beside, is actually alive and conscious and praying with me. It's about recognizing that if I'm having beef for supper I know who I'm eating, not what I'm eating." he says. "I'm what you call a Christian animist...and the basic premise of animism is that the world is filled with a myriad of neighbours...After you do that for a few years, for me anyway, something crystallizes about where I find my place in the universe." 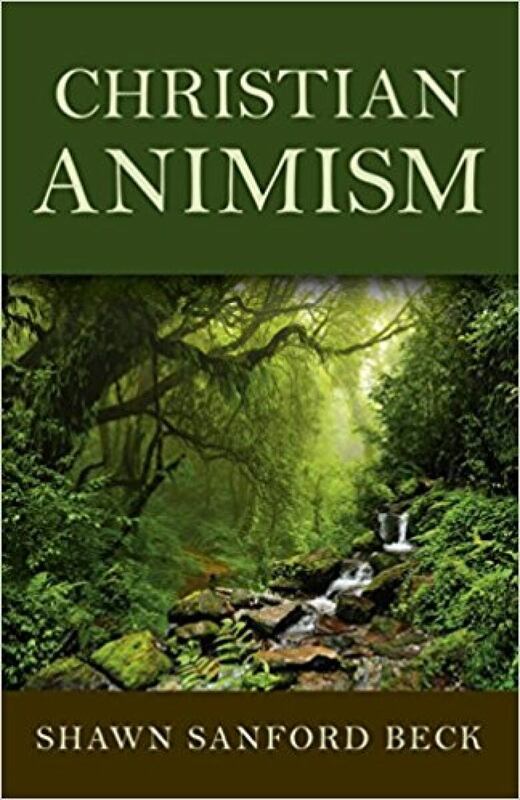 Sanford Beck has written a book about Christian Animism. "Certainly, I think a lot of contemporary pagan druids would not be happy with the way I've blended traditions, and nor would a number of conservative Christians. But I take heart from the number of people who seem to resonate with these ideas, and also from the fact that Saint Columba of Ireland once referred to Jesus Christ as 'my chief Druid'." Click LISTEN above to hear Rev. Shawn Sanford Beck's views on the afterlife, the nature of evil, and how he is raising his children with both spiritual traditions. Matthew Fox - "He's a bit of a hero for me… He opens up the Christian tradition in a way that makes it safe for people to explore outside the Christian faith." StarHawk - "As a first go-to person, I usually recommend Starhawk." Philip Carr-Gomm - "Is the current head of the Order of Bards, Ovates and Druids, as somebody who can really make a very gentle and open and helpful sort-of defense of neo-paganism." Dr. Ronald Hutton - "He's a historian of religion and he's written a couple of really interesting books chronicling various forms of paganism…[He] can describe how many of those different traditions have grown and changed and morphed into each other over the centuries." "Tolkien was deeply involved with North Western European mythologies - Celtic mythology, Nordic...Finnish...he drank of it very deeply. And yet he held that all together with his Christian Catholic faith." "Tolkien's worldview is what I consider a form of Christian animism - as is C.S Lewis' in some ways - a sense that the world is always so much more and so much deeper than we give it credit for."